Even counting the War Doctor (John Hurt), the numbers don’t add up. But remember when Moffat earlier suggested that everyone had missed a regeneration? Well, it’s related to the Meta-crisis Doctor — but not the human/Gallifreyan hybrid from “Journey’s End” himself. When the Doctor (David Tennant) was struck by the Dalek extermination ray in “Journey’s End,” it triggered his regeneration process. Dragged into the TARDIS by Capt. Jack Harkness (John Barrowman), the Doctor channeled the regeneration energy out of himself and into his preserved hand, which was previously severed in “The Christmas Invasion.” That caused the hand to grow into the Doctor/Donna. What matters here is that the regeneration was triggered and the energy expended — regardless that it was directed outward. In essence, the 10th Doctor regenerated into his old body. 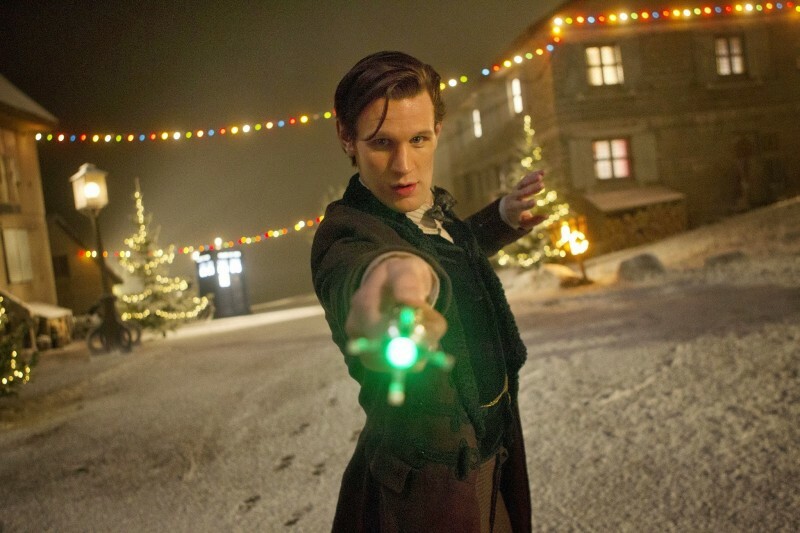 But he still regenerated. At least, according to Moffat he did. So add that to the War Doctor, and Smith gets bumped back from 11 to 13. Again, at least according to Moffat. And he’s the boss. Sooooo… in the script for “The Day of the Doctor” the numbering stays the same. I see… That clever devil. Moffat told the truth — but only in a manner that served his purpose. Well-played, Mr. Moffat. Well-played. This entry was posted in Analysis, Cult TV and tagged 10th Doctor, 11th Doctor, 12th Doctor, 13th Doctor, David Tennant, Doctor Who, John Hurt, Journey's End, Matt Smith, Steven Moffat, The Day of the Doctor, War Doctor. Bookmark the permalink. That’s so confusing! It’s a little silly though, so Matt’s only the thirteenth if it suits Moffat’s need at the time? Reblogged this on Dean'z Worldz.